Well, I had an interesting request by Becca this week. She asked me to design her a couple of blog banners. 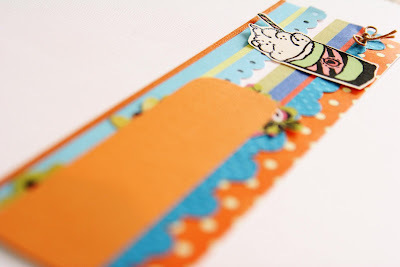 I have designed a few for One Bright Spot and my personal blog's banner. 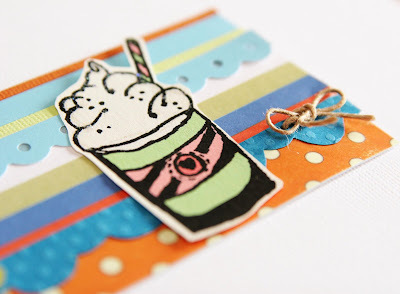 But, to create one for someone who does paper crafting was kind of a challenge. Becca has been drooling over Mojo Monday for some time now. 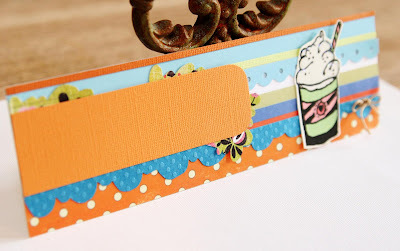 She has me going over to their blog all the time and I am not a card maker! But this week I thought it would help my creative juices flow and stepped up to the challenge! 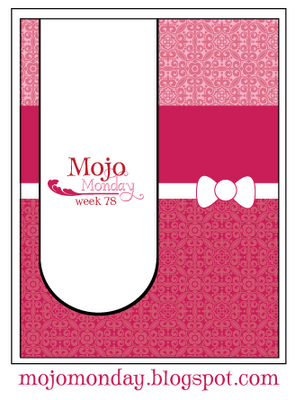 I used Mojo Monday's Week 78's sketch to create a fun blog banner for Becca. I flipped the sketch around so that it would work horizontally. The challenge was to keep everything flat so that it could be scanned. I then scanned the layout, uploaded it to Adobe Photoshop Elements, added the title and "hugs & kisses." The die cut is an original design by Becca. I love the recycled paper she gave me to use for the challenge; I pulled these from her scrap bin! I created my own borders by doodling and cutting them out by hand. 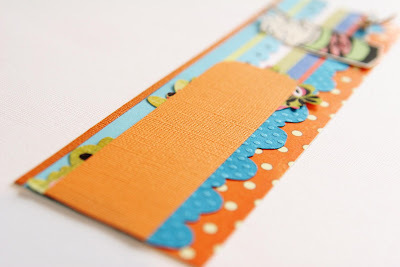 Bazzill cardstock's colors are so vibrant and perfect for this project! Here is the banner with the script. The Daily Grind... where the pleasures of life meet paper crafting... xoxo. The font is Ali Edward's design. You can download it here. Create Well: If you are in a creative rut, look somewhere you would normally not look for inspiration. You never know, you might find what you are looking for! I am the first one to comment on your new blog! LOVE the banner! & it is all mine! (no evil laugh included) *smile* I just love it and thanks for always taking on a challenge!